This reference publication describes the requirements and protocols associated with the TIM Accreditation and Certification Program. 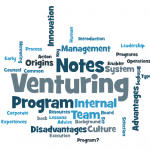 The Programs applies to individuals, trainers, auditors and organizations. This publication is a guideline that provides users of the TIM-PD-STD-001 Innovation Management Standard a generic methodology on how to adopt the Standard within their organization. 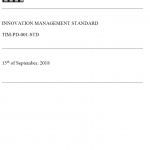 The document corresponds to the elements of TIM-PD-STD-001 Innovation Management Standard. 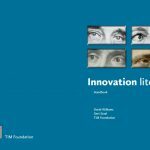 This reference publication provides definitions to terms used in the TIM Innovation Management Standards. This reference publication provides users of the TIM-PD-STD-001 Innovation Management Standard sample measurements and metrics. The measurements and metrics would be defined in the organization’s Innovation Management System for monitoring and measuring the organization’s innovation capability along with innovation activities associated with the system and projects. This publication is a guideline that provides users of the TIM-PD-STD-001 Innovation Management Standard an interpretation of the requirements of the Standard. The guideline corresponds to the elements and clauses of TIM-PD-STD-001 Innovation Management Standard.